This recent opening located between Montmartre and Pigalle, recalls Richard Rodgers and Lorenz Hart’s romantic ballad, “there’s a small hotel with a wishing well, I wish that we could be there together.” If you’re happy to exchange a 20-meter swimming pool and state of the art fitness centre (pilates, gym, yoga etc) for the wishing well, book this five-star, 45-room and suite boutique beauty (from about €216 + breakfast €15-€25) or reserve lunch in the tranquil walled garden. 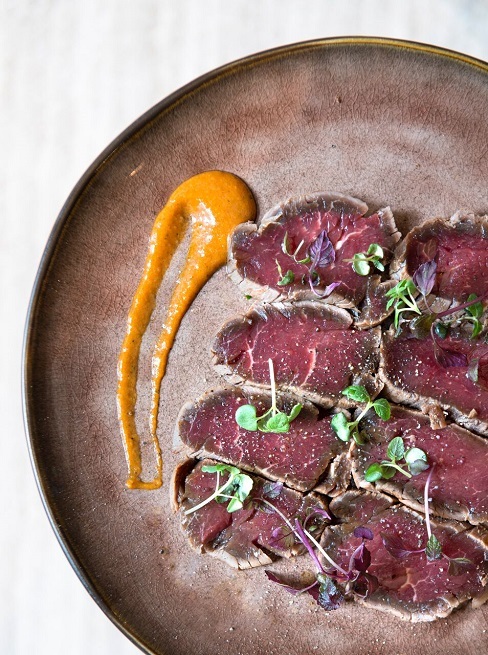 Cape Verde born chef Arikson Lima Martins sends out dishes inspired by his travels, say, crab, avocado, pomegranate seeds wrapped in cool as cucumber leaves, or Tataki of Beef and Pear Crumble. Lunch formula €19-€25 or A La Carte about €37 + wine. “Accents are on the freshest possible seasonal products; I change the menu almost daily”, says chef Lima. Bread’s by Dominique Saibron, while Maison Nordique Salmon, Ferme de Peupliers (Normandy dairy products) and Petite Ferme Parisienne (for cheese) are also suppliers. The wine card reads well and the bar stocks the biggest selection of whiskies in town. At night – accents are on terrific tapas (from €9) and exciting cocktails, classic or without alcohol. 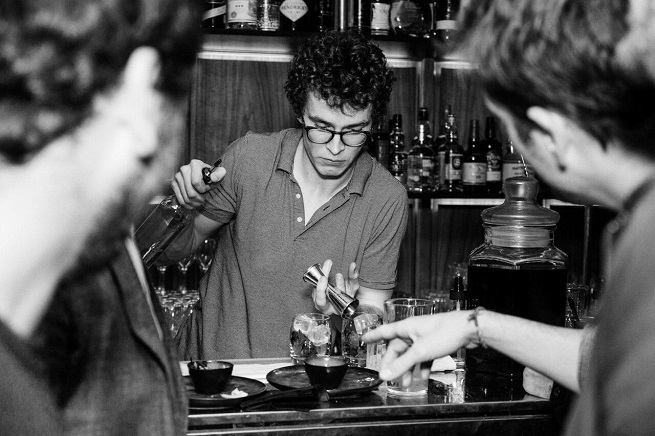 Read, Moscow Mule, Old Fashioned, Dry Martini, finish with a Last Midnight Coffee (cognac Hine, Ethiopian coffee (€12) or L’Orange Mechanique (€13). “On the wall are several prints of Washington and Cleveland” continues the song. At Parister the airy designer space is punctuated with pieces on loan from Galerie Kamel Mennour. 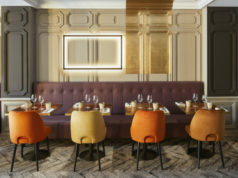 Following the delicious success of Michelin *Antoine, Mensae and Jacopo, the rue des Wallons is the location for Thibault Somardier’s interesting bistrothèque moderne. It’s a cabinet of curiosities, a mix of industrial chic, family and gastronomic nostalgia, reflected in mirrored designer tones of midnight blue, white and grey. Head chef Matteo Vianello (formerly at Thoumieux and Le Jules Verne) totally gets Sombadier’s concept for Sellae, sharing tapas to begin, say, parslied frog’s legs (€16); Tarama, poutargue, grated lemon (€7); Jambon Iberico Cinco Jotas (€20); or classic starters such as Moules Marinière (€11); creamy crab millefeuille, a touch of lime, the crab poised between transparent rice cake leafs, and, a nod and a wink to Matteo’s Venice roots with Risotto Carnaroli au jambon Ibérique with green asparagus (€15). 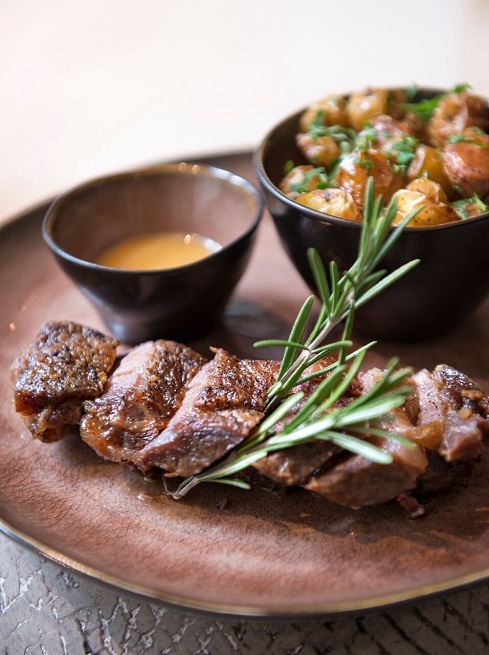 Mains include Free range Guinea Fowl, morilles mushrooms (€28); Roast Angus beef for 2 (€60); sumptuous low temperature cooked cod with spelt and crunchy vegetables (€22); and to finish Matteo’s unique chocolate mousse (€7) or warm apple tart, fromage blanc and maple syrup (€6). Excellent, inexpensive, wines are by super-somm Fabien Vullion. “I’m mad about magnums, for the beauty of the gest and the fabulous aroma that develops in the bottle”, he says. Think Vouvray “Silex” Domaine d’Orfeuilles (€7 – €30). Pronounce it “sella” which according to chef means “chair” – oh ! I see – mensae, in latin, is table – wonder what Thibault’s planning for his next ? Go figure – but do go. 18 rue des Wallons, 13th. Metro: Saint-Marcel. Tel: +33 (0)1 43 31 36 04. Lunch formulas €19-€22 + wine. A La Carte €40-€60 + wine. Closed Sundays. No site yet. 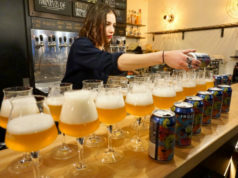 “Times change – Le Vaudeville remains” is the mission statement at this authentic brasserie/oyster bar. 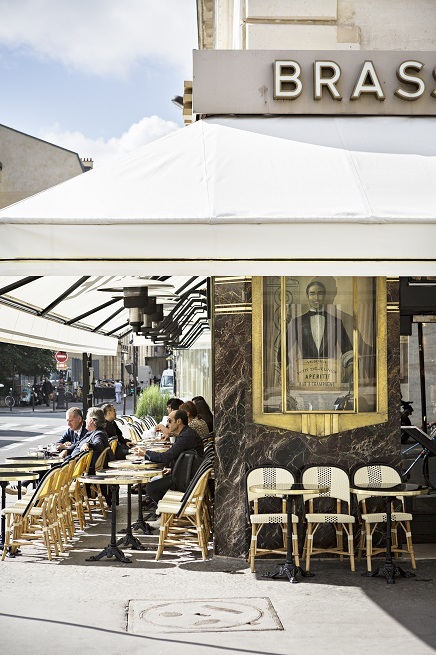 Originally (1838) located next to Theater Vaudeville, where Alexandre Dumas’ Dame aux Camelias played – after performances “le tout Paris” would see and be seen for drinks or dinner. The welcome is warm, book the terrace or the sumptuous interior, recently renovated without losing the charm of “les années folles.” Begin with a coupe (“not a flute”, explains Régis Chevallier, the charming Directeur d’Exploitation) of champagne Jacques Brut Mosaïque (€6). “So romantic”, he sighs. 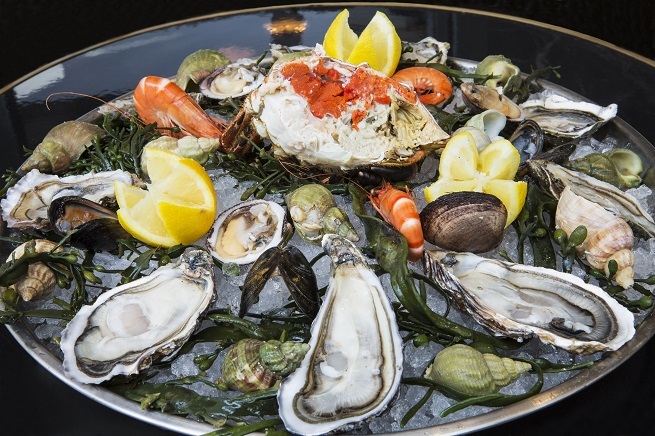 Joël Dupuch oysters (€24 for 6) or Royal Vaudeville platter (€129.50) then go traditional with vibrant French onion soup (€8.50) or achingly kitsch avocado and prawn cocktail (€14.50). Follow with Charolais steak, salad, french fries (€19). And whipped cream rum baba (€9) or café gourmand (€12.50). Service is all day every day – pop in for a planche of charcuterie, croque Monsieur or foie gras chutney. Menus €22-€29 + A La Carte average spend €40 + wine. Daily specials about €18-€20. Fragrant Saturday-Sunday Roast leg of lamb in thyme blossom pesto with gratin dauphinois – or Wednesday fish, chips and sauce tartare – yum! 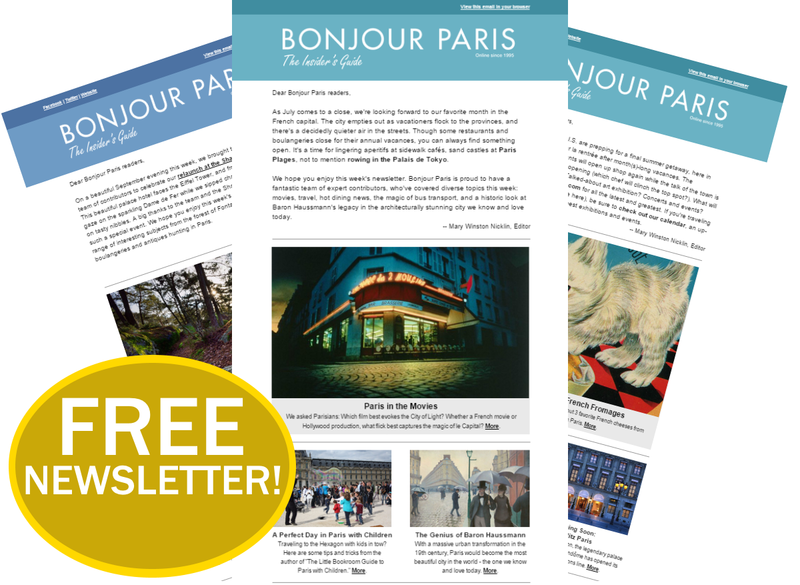 Need to Know: The Bourse country market (Marché Bourse) Tuesday and Friday from 12.30 – 20.30. 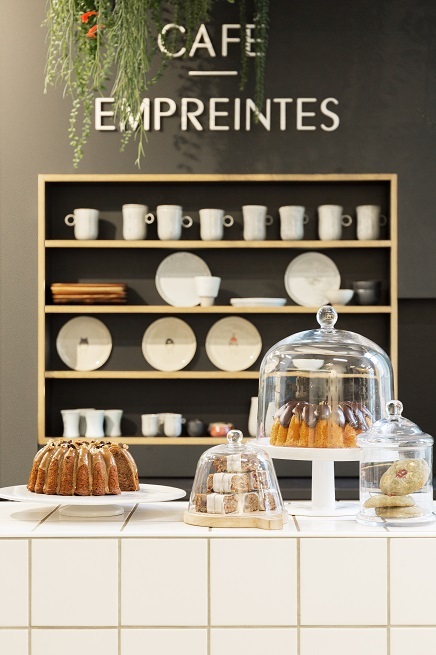 On the first floor of Empreintes, the artisan craft concept store, in the Haut Marais, serving matcha bowls, pancakes, muesli etc. as well as delicious sandwiches and dishes such as marinated salmon salad or bô bun with tofu. 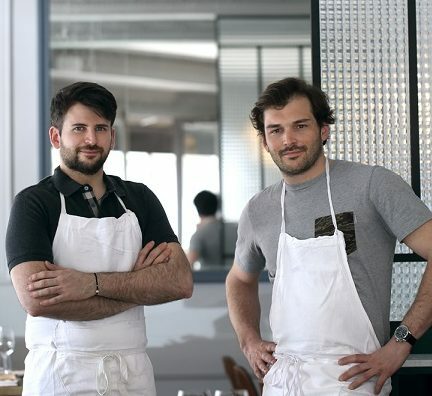 Since April, Raphaël Rego’s Maloka has a change of name and brigade. 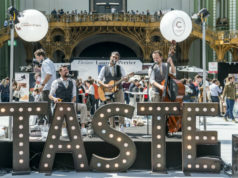 Acquired by Jonathan Caron (formerly at L’Ambroisie, La Bigarrade, Atelier Rodier) in tandem with chef Anne Legrand (Gordon Ramsey at Le Trianon Palace, Versailles, Hélène Darroze, Paris, Itineraires). 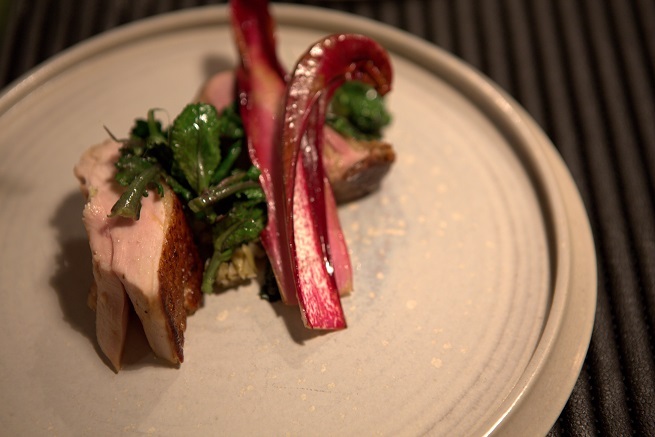 Check out a friendly neo-bistro with accents on organic seasonal vegetables. Seems familiar? This was the starting point for Chicago born Daniel Rose’s iconic Spring (now packing them in, back in the US of A) and rocks a contemporary décor by Caroline Tissier. 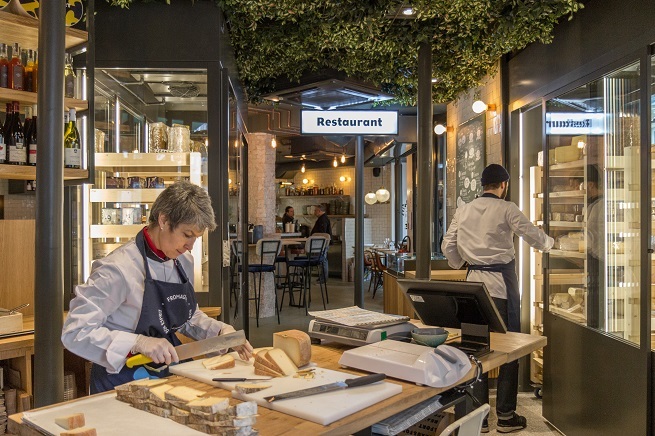 The delicate dishes showcase lovingly sourced products from small producers: vegetables from Annie Bertin in Rennes, fish from Tom Saveurs, meat from Fleur Godart’s farm. A la carte dishes, according to season, include Ceviche of carrots and Kalamata grapefruit; savoury tarts strewn with herbs grown on Paris rooftops or grilled squid, wild garlic pesto and Sicilian pistachios. The lunch menu (only Friday and Saturday) varies between €25- €30. 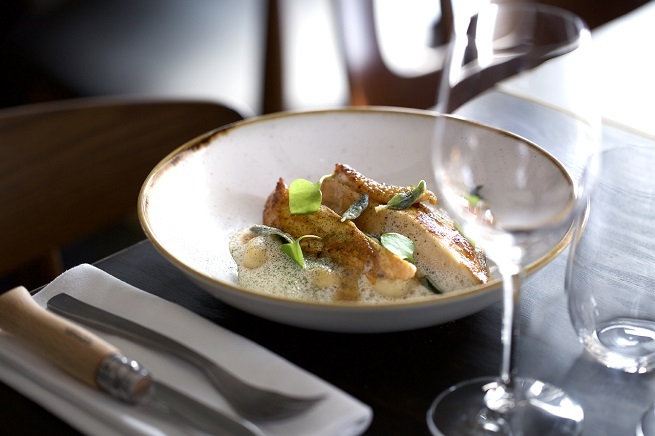 At dinner (from Monday to Saturday) the carte blanche menu is €49 plus wine. Beaufort– the handsome, firm, distinctive flavoured raw cow’s milk cheese, part of the gruyère family– is produced in Beaufortain, Tarentaise Valley and Maurienne in the Savoy region of the French Alps. 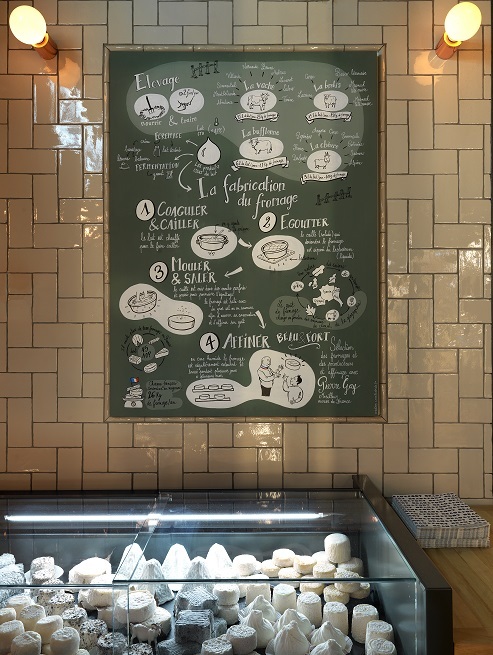 And now brand beau Beaufort has a dedicated Paris space with a new concept created by cheeseophile Damien Richardot. “It’s a resto-fromagerie and a fromagerie-resto”, he explains. 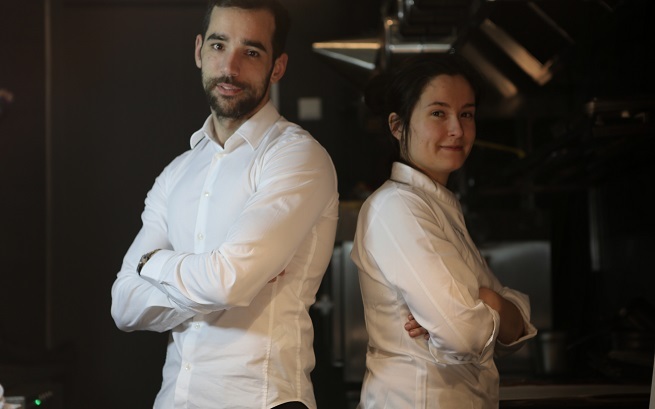 The menu (Lunch formula €15 or A La Carte average spend about €30) divides into four seasonal themes: sharing plates, mains, plateau of incredible cheeses, jams, chutneys – some chosen by Annecy based MOF Pierre Gay – and a sweet spot. Who can resist the Cheeseburger? (€16) Although the extra burratina, roasted vegetables and roasted nuts beckon (€14). Add healthy salads and grains (from €7). Richardot prefers white wine to match and recommends the delicate Alsace Métiss Bott-Geyl 2016 (€6 – €30). Sweet Corner: Chocolate cake with shavings of old Gouda! Special mention for the sorbet Roquefort and multitude of carefully researched products, honey, oils, condiments etc. And, cute touch in the upper room, which can be privatised, dine on a ping-pong table. Beau & Fort, a tone poem to fromage, is the perfect way to get lost in Cheeseland! With apologies to the talented Lindsay Tramuta. 37 Rue du Faubourg Montmartre, 9th. Metro: Le Peletier. Tel: +33 (0)1 45 89 23 96. Restaurant open Mon-Sat 12 pm- 11 pm. Brunch on Sunday (€25) Kids (€14) from 11.30-4 pm. Boutique open Mon-Fri 10 am-8 pm. Saturday 9.30am – 8 pm. Bravo Christian Constant! Figaroscope voted his Poireaux Vinaigrette No. 1 in Paris. The secret to his €8 dish? “Never put the leeks in the ‘fridge”, he reveals.